This coveted high floor corner 2BED/2BA unit offers spectacular views of the city and a spacious layout featuring white oak hardwood floors, Bosch washer/dryer, stainless steel Bosch kitchen appliances, stainless steel countertops, custom closet shelving and finishes, solar shades throughout apartment, in-sink garbage disposals, Hans Grohe bathroom fixtures, keyless electronic apartment access, LED energy efficient track lighting, Corian window sills, large ceiling-height windows offering great natural light. 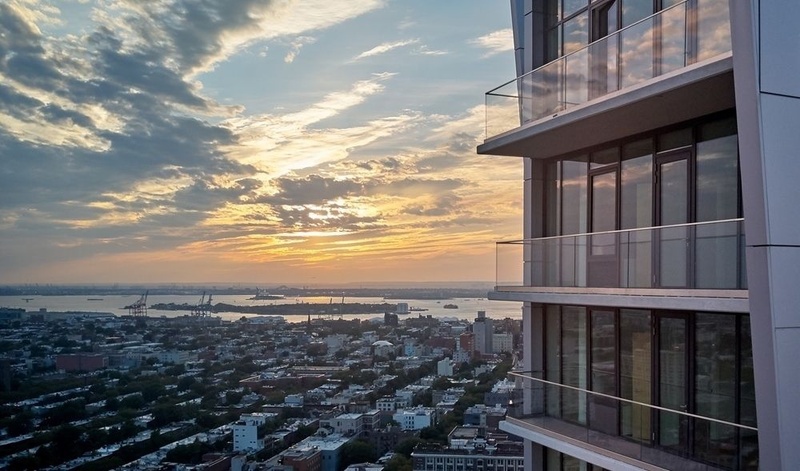 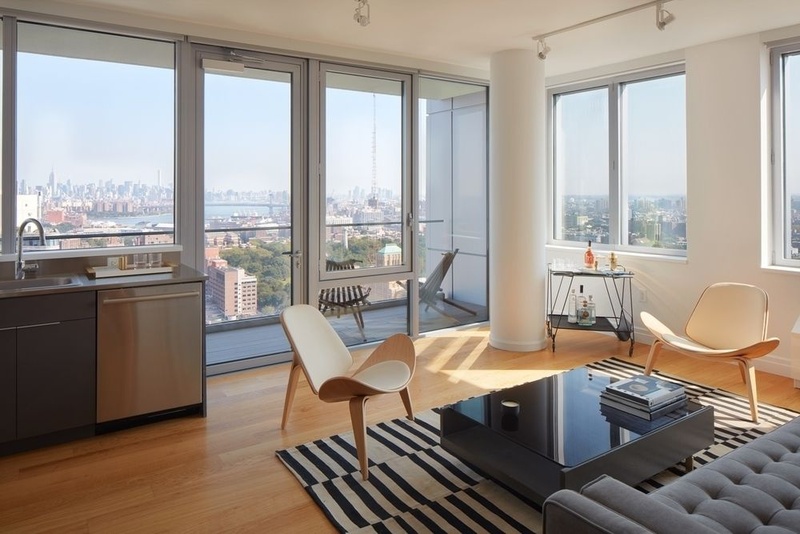 This corner unit has a private balcony with floor to ceiling windows off the living room and soaring views of Brooklyn and Manhattan skylines. 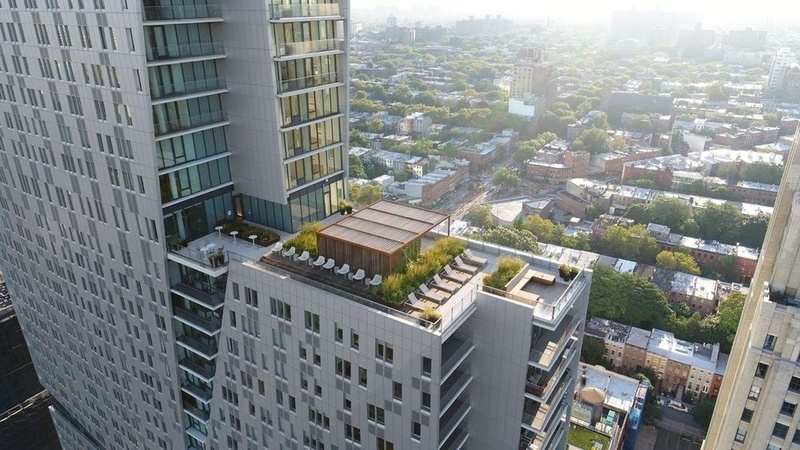 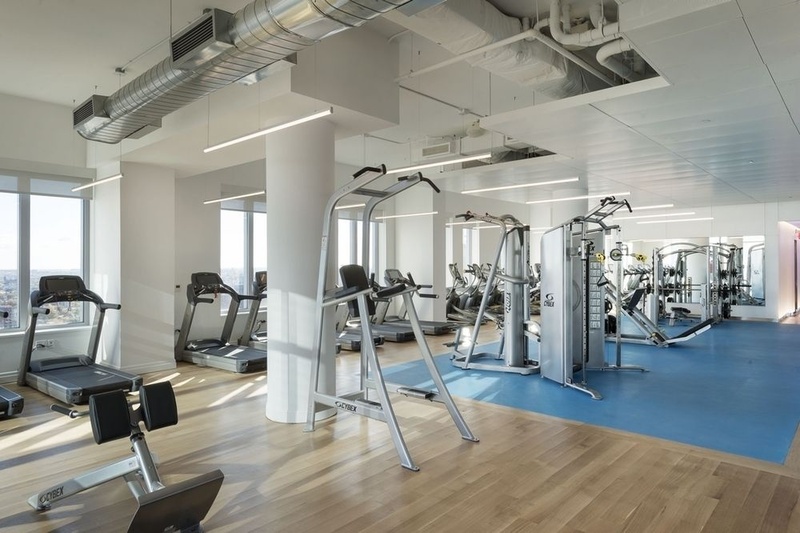 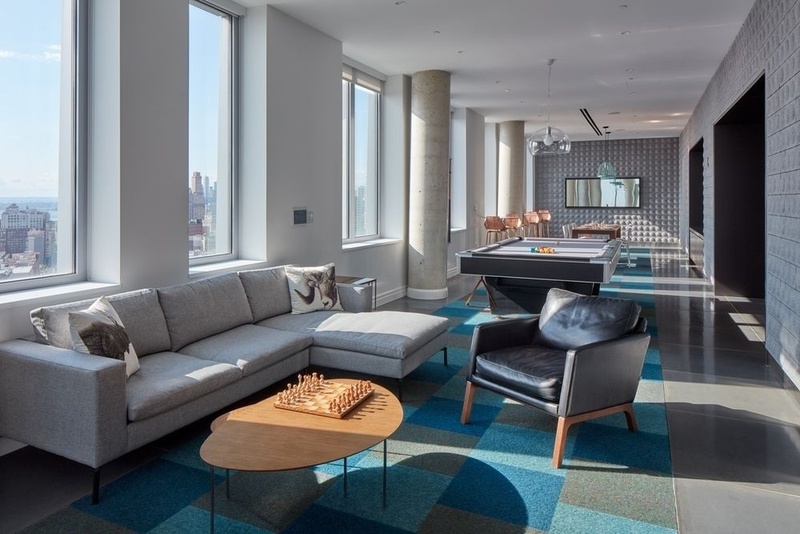 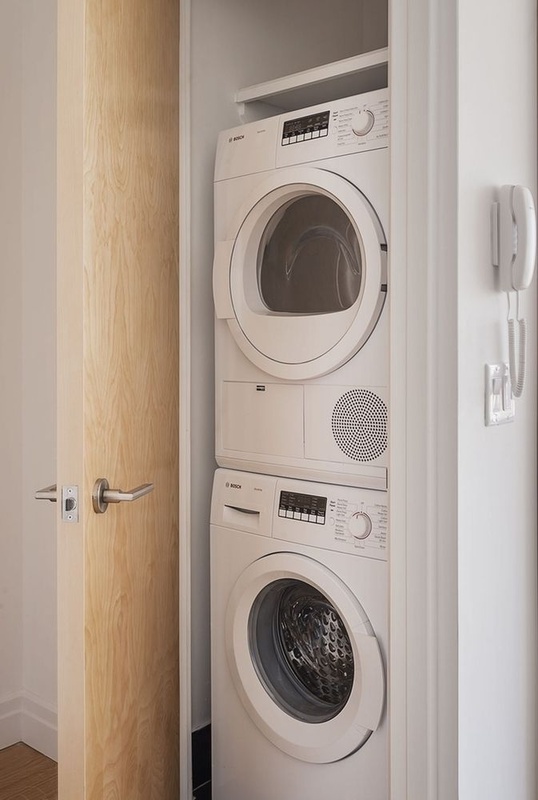 This building offers all the amenities and convenience of a modern building alongside the vibrancy and culture of classic Fort Greene, Brooklyn. 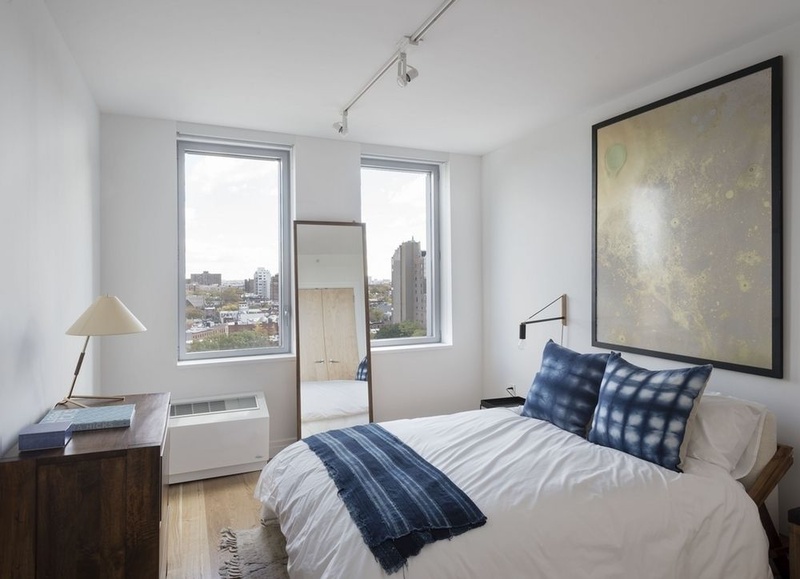 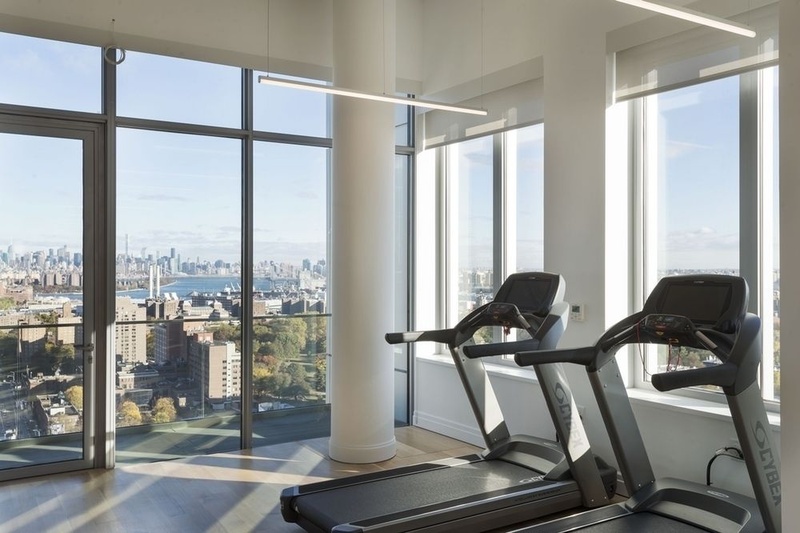 Our Studio, 1 Bedroom and 2 Bedroom residences were thoughtfully designed with high-end finishes, panoramic views, and full-service resident amenities atop diverse cultural programming. 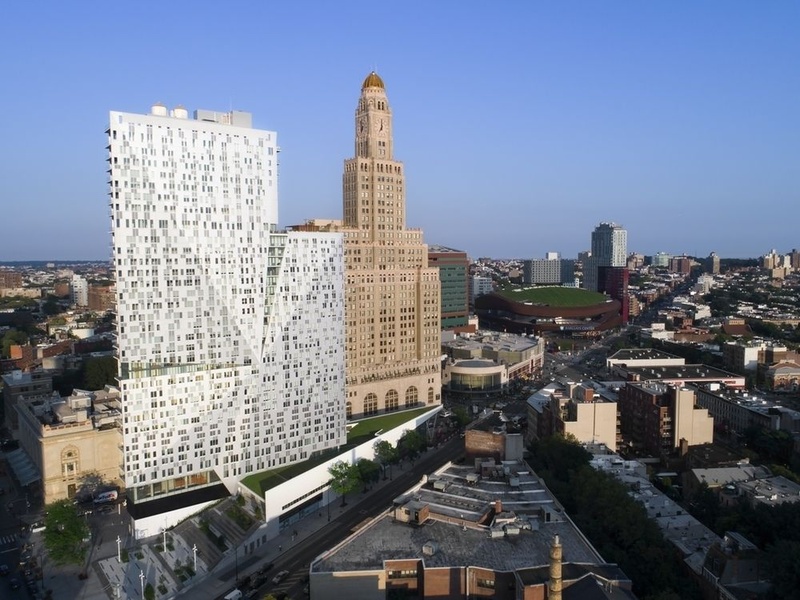 The first nine floors of our building include BAM cinema theaters, a branch of the Brooklyn Public Library, MoCADA, 651 ARTS, a 365 Whole Foods and Apple store. 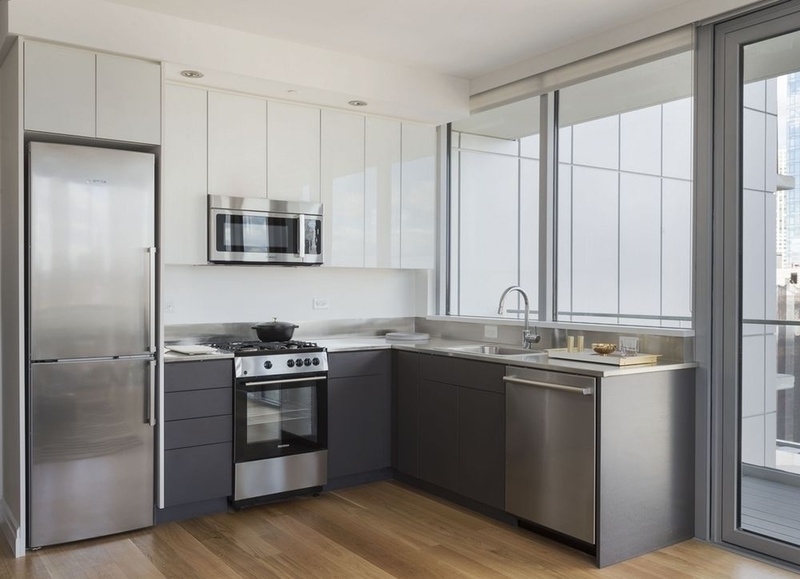 With 11 subway lines just steps outside your door, 300 Ashland is truly UNLIKE ANYTHING, IN THE MIDDLE OF EVERYTHING!